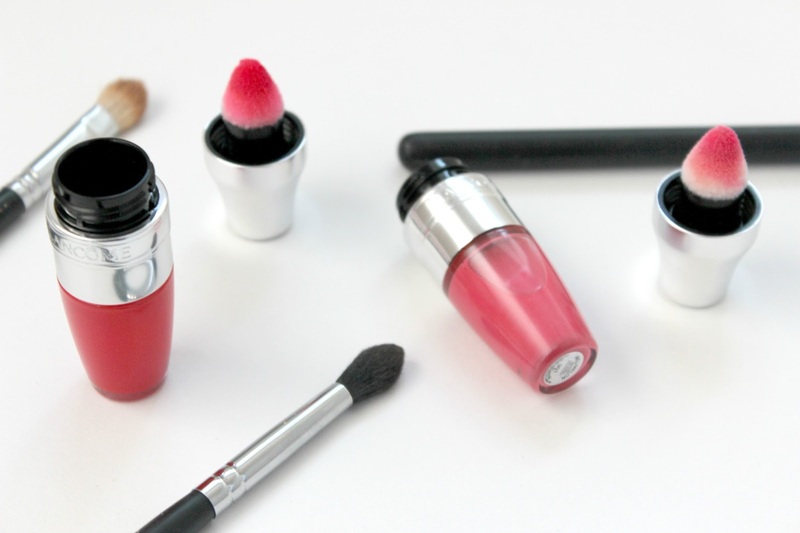 So last week Lancôme launched their brand new lip product Juicy Shaker #BanTheBoring. I wanted to try out this product as soon as I saw them. 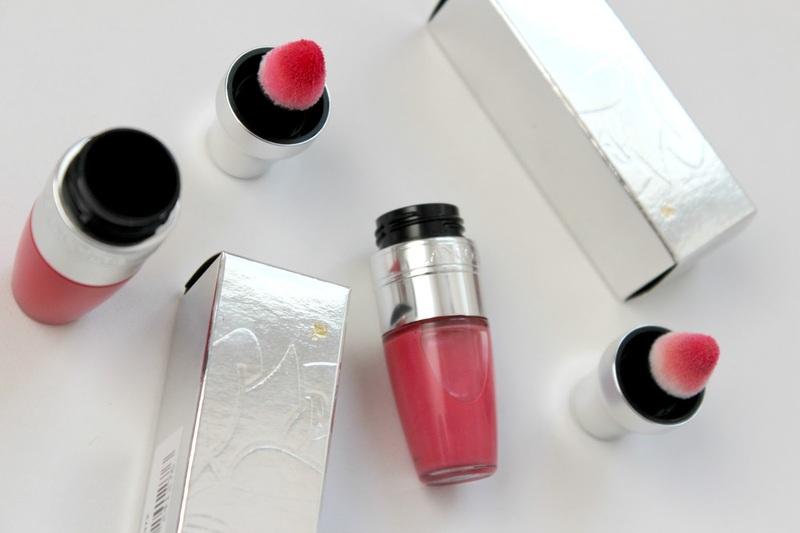 The Lancôme Juicy Shaker comes in 13 different shades and one limited addition shade (400 Mint To Be). They have a great range of colours and each one comes with it's own scent. I can imagine Freedom Of Peach and Mangoes Wild to smell gorgeous and the shades look right up my street too. 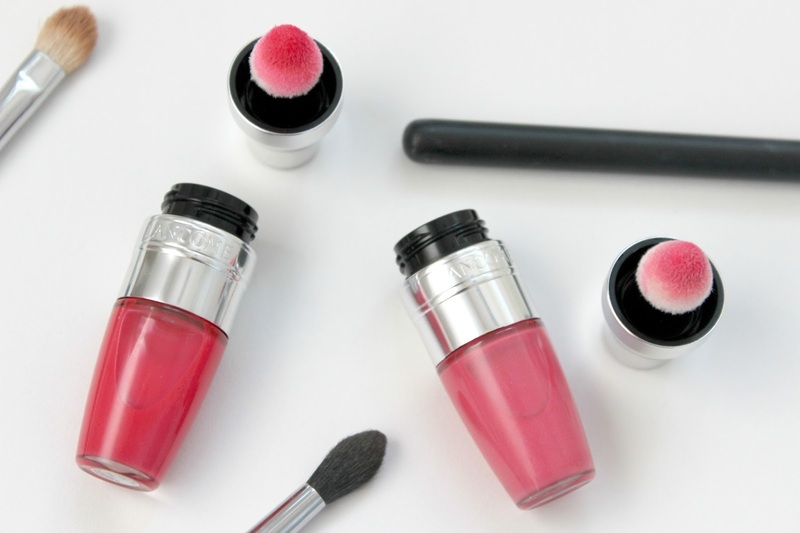 Lancôme Juicy Shaker's are retailed at £18.00 each, which I don't think is too bad considering the awesome packaging that they've created and the actual product itself. You can purchase one for yourself on the Selfridges or Lancôme website. I honestly can't wait to pull this product out of my handbag and show everyone. It's going to be one of those 'Oh my god, let me try' lip products that will have everyone talking. Speaking of packaging, Lancôme have gone all out with a cocktail shaker kinda vibe. Is it Summer yet? 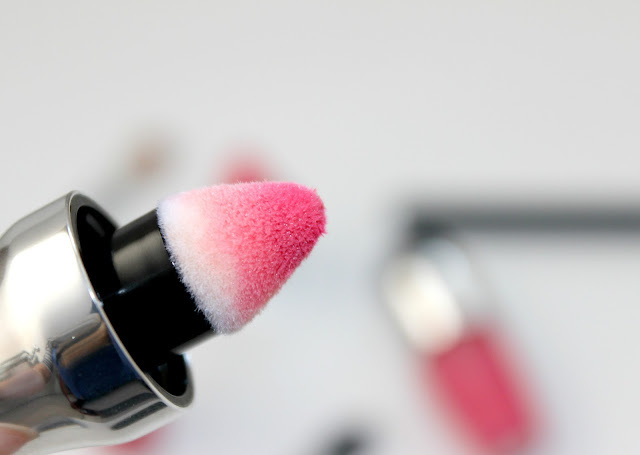 The soft sponge applicator absorbs just the right dose of pigment/gloss to apply to the lips. Making it very easy to apply and the shape is just great it does look a little bulky at first, but the pointed tip really does work well with the shape of my lips and wasn't hard to apply neatly at all. If anything I really like the applicator, it's so different to your usual wands or doe foot applicators. Wondering if these are messy inside? Definitely not! Under where the sponge sits there are three small holes that let out the right amount of product when shaken (not stirred). 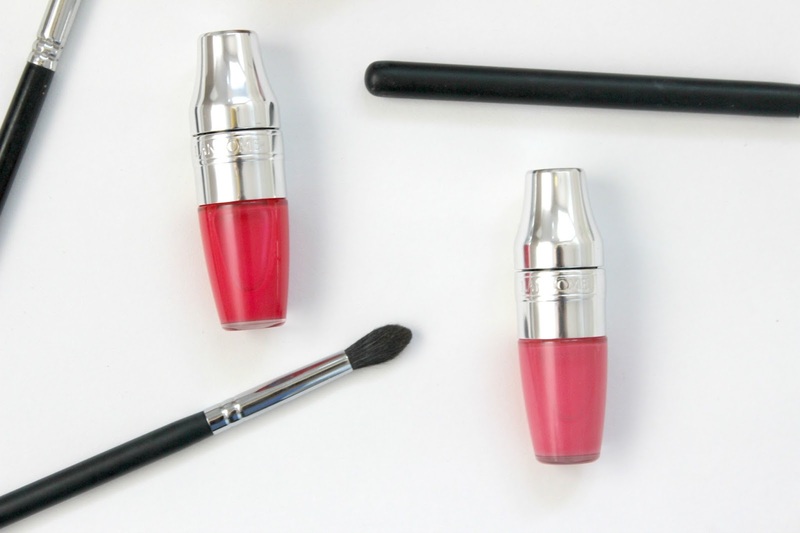 Lancôme Juicy Shakers have a bi-phased formula and they're packed full of nourishing lip oils. Bi-Phased formula is when the oils separate the colours and you have to shake them for the colours to mix together before you apply the product. Basically the more you shake, the better the pigment. Like one of those fancy holiday cocktails or the oils you use to see in the beauty shops. The oils contain sweet almond oil, omega 3 and cranberry oil. So you can imagine just how amazing they feel on your lips and how just how great they feel after wearing one all day. Meli Melon is a gorgeous light pink lip gloss that smells just like watermelon. 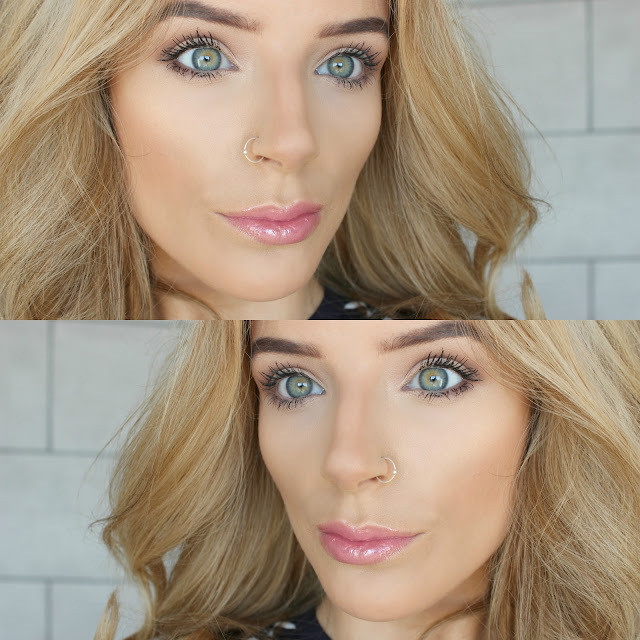 This is my favourite lip shade of the two that I received as I think the shade suits my skin tone to a T. Meli Melon is quite sheer, with just the right amount of pink that shines through. I think this one is great for an everyday look and I'll definitely be supporting this one throughout the Spring/Summer this year. The consistency of the product is lovely! Non sticky and non-drying on the lips. I also thought that it made my lips look quite plump in a natural way. As you may have guessed Berry Tale has a sweet berry scent and is more of a darker pink on the lips. I do really like this shade, but I think Meli Melon suits me more. This shade seems to be more build able than Meli Melon as it is one of the deeper shades. I can imagine that this one will look gorgeous applied over a nice pink/berry toned lipstick for a more intense look. 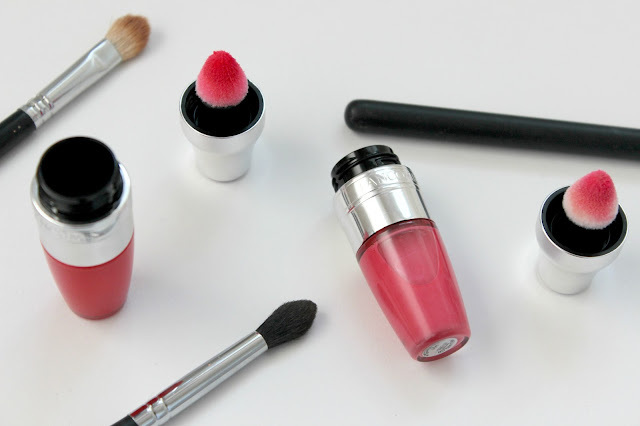 What I like about this lip product is that they're non-drying and non sticky thanks to the amazing oils, but this will mean that you will have to top up that gloss as the day goes on. Who's going to mind pulling this one out of their handbag though? I certainly won't mind at all. 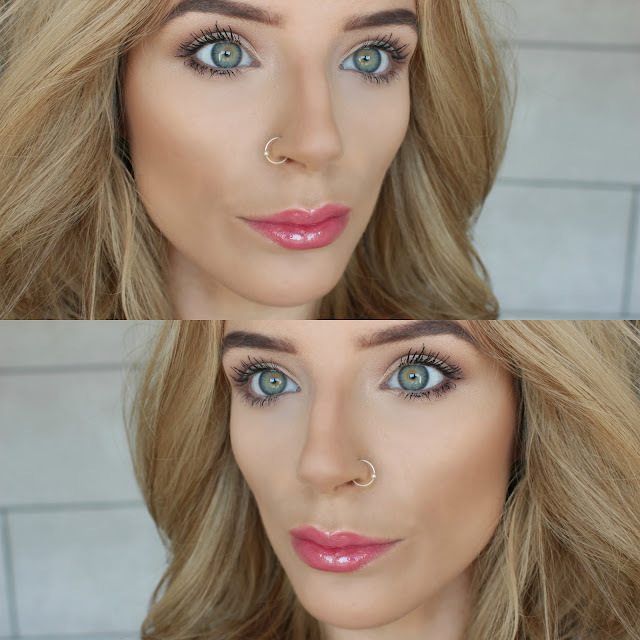 The new Lancôme Juicy Shaker definitely hasn't let me down! If anything it's made me want to purchase more shades. I love it when brands go all out with something new and fabulous! 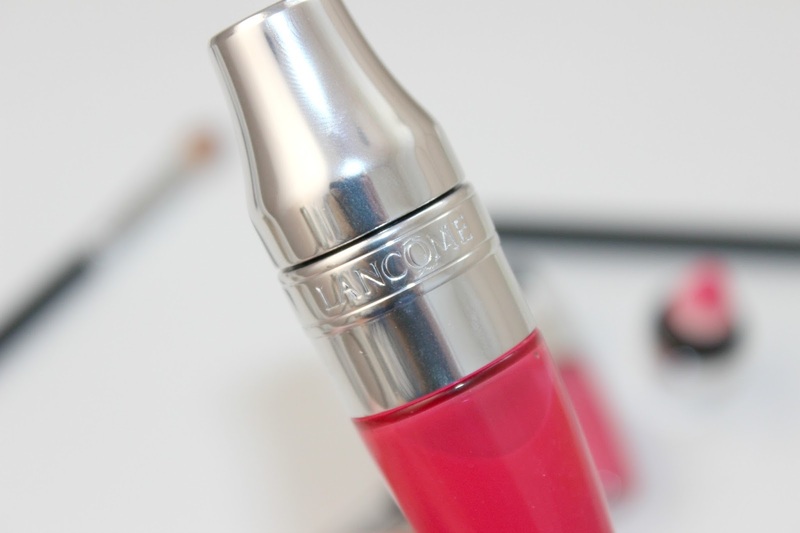 Can you remember the old Lancôme Juicy Tubes?